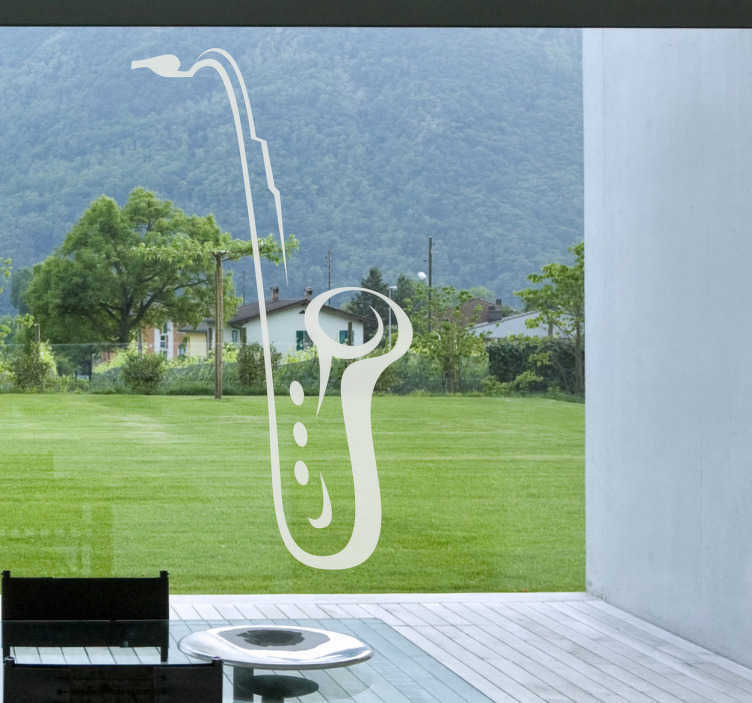 A decorative decal of a saxophone, a wind musical instrument to decorate your living room whilst listening to jazz. A magnificent sticker that can be placed on your window to customise your home! You can also place this vinyl sticker on your walls or any smooth surface. Saxophone sticker available in different colours and sizes.